Supplying the construction industry for 30 years. 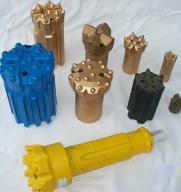 We sell drilling supplies and parts for all major hammers. Thank you for visitiing our new website! Here you can find some basic information about our company. If you would like more information, have any questions or would like a quote please feel free to contact us.